After the ongoing rounds of regional auditions in search for the next K-Pop star, the third season of Scoot: K-Pop Star Hunt 3 will finally make its premiere on 30 November, 9pm via channel M (StarHub TV Ch. 824 and SingTel mio TV Ch. 518). Organized by channel M, Scoot, as well as FNC Entertainment, this regional talent competition will see celebrity guest judges such as CN BLUE’s Lee Jong Hyun, AOA and Juniel, who will appear on the programme and share their tips to the finalists of Scoot: K-Pop Star Hunt 3. 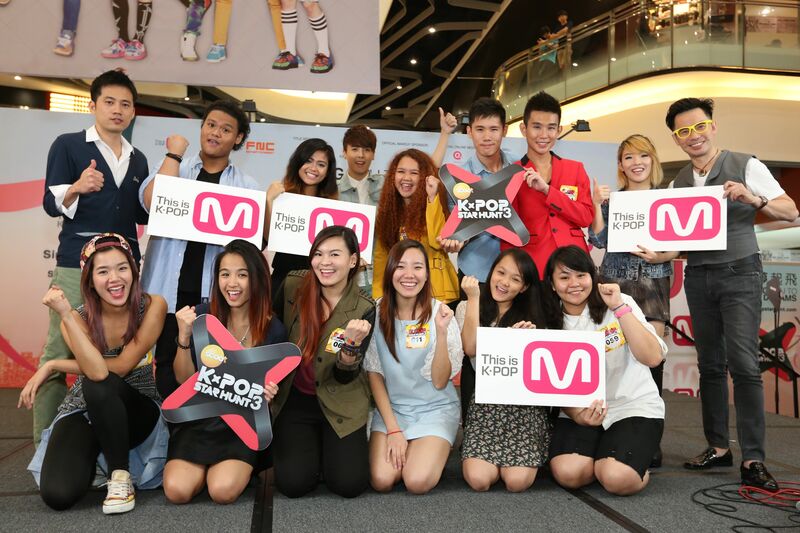 With a total of 12 contestants shortlisted from the regional auditions held in Singapore, Malaysia, Thailand, Taiwan, Hong Kong, Indonesia and the Philippines, Scoot: K-Pop Star Hunt 3 will put the finalists through three weeks of intensive training in Seoul with FNC Entertainment, where there will be weekly elimination rounds before wrapping up with a special finale showcase featuring the Top 4 in Singapore. The winner of the regional talent competition will stand to win a contract deal and training with CJ E&M and FNC Entertainment, along with a possible opportunity to collaborate with FNC Entertainment artistes as well as the chance for a stage appearance on 2014 Global M! Countdown with his/her own debut single. Q: If you could three words to describe your training experience in Seoul, what would they be? Q: What was the first thing on your mind when you met other contestants from the different countries for the first time? Q: How do you think of the other 11 contestants? Is/Are there anyone in particular whom you were impressed with their singing/dancing skills? 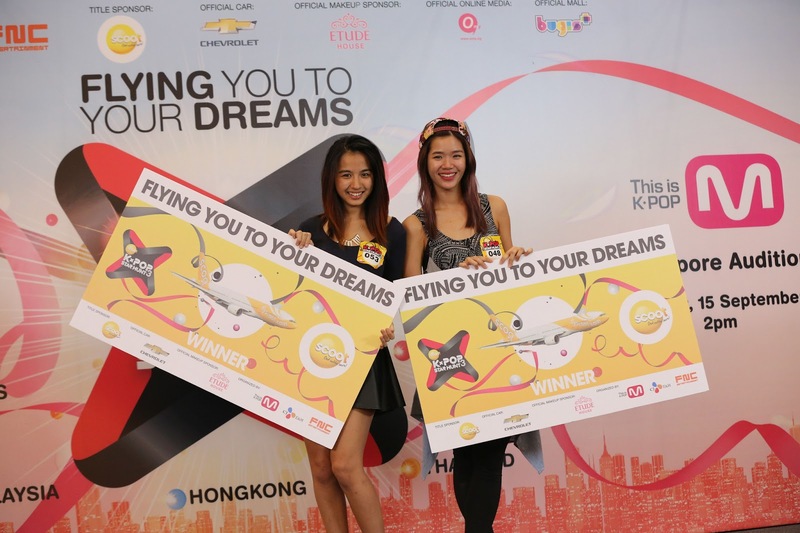 Stephanie: Putri will ALWAYS BE MY IDOL! That woman sings like a goddess, and Andy is no doubt the best dancer out of all of us. Q: How different is it making YouTube videos and performing on stage in front of the live audience? Which would you prefer? Stephanie: On YouTube, I can sing my song over and over again and choose the best take to upload online. As for live performances, there is only one shot at doing the song right. So making videos on YouTube deﬁnitely takes up a lot more time and effort and does not necessarily turn out better than performing live. I prefer performing live because I feel that I can give a better performance and connect with the audience better through my live performances. Q: What interest you the most from the K-Pop industry? Stephanie: Plastic Surgery. Never fails to keep me wondering what the K-Pop artists look like originally. Q: Since you’ve participated in several auditions previously, is/are there any tips or advice you’d like to share with aspiring individuals? Yvonne: Whatever you do, stay true to yourself. Don’t go up there and try to be something you are not. Q: Last but not least, what keeps you going instead of giving up on your dream and pursue another path? Yvonne: Being the youngest in the family, I guess I have some leeway in doing things that I want to do. Plus, my parents and siblings are really supportive in whatever I do, be it free-lancing as a dance teacher or taking part in competitions. And there are also my friends who always encourage me, and some even admire my courage to walk the road less traveled, all these just give me the drive to keep going. I don’t want to look back when I am older and regret the things that I didn’t do and the decisions I didn’t make. So, just go for it and make the best out of everything. And the truth is, I can’t imagine myself sitting in a cubicle looking at my desktop from 9-6pm. Haha. 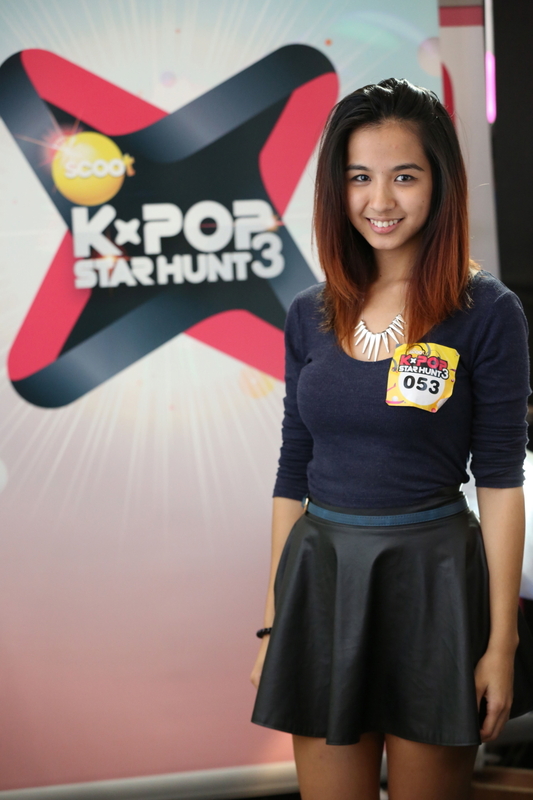 Be sure to catch Scoot: K-Pop Star Hunt 3 every Saturday at 9pm, with the first episode premiering on 30 November 2013 via channel M (StarHub TV Ch. 824 and SingTel mio TV Ch. 518). Starting from 20 November, you can support your favourite finalist(s) by visiting www.kpopstarhunt.com and root for them to win the coveted title. 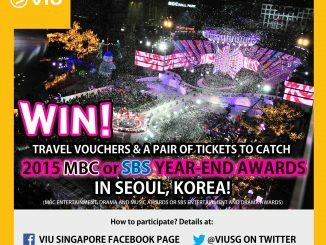 Also stand a chance to walk away with attractive prizes such as a pair of tickets to Seoul on SCOOT, Lenovo tablet, Etude House’s hamper and merchandise from Chevrolet when you participate online and guess the winner of Scoot: K-Pop Star Hunt 3!